Cogniter Technologies is a developer of multiple award-winning and popular mobile games in India. It develops games in multiple genres for its clients in the U.S., Canada, the U.K., Australia, New Zealand, Germany and other countries. Use of advanced tools, superior production quality and unmatched gameplay make Cogniter your ideal partner for a game development company in India. We have created hundreds of games for dozens of clients. Our portfolio speaks for itself. You can view it yourself here. We do not rely on past laurels alone. To perform consistently, we keep on updating our tools. 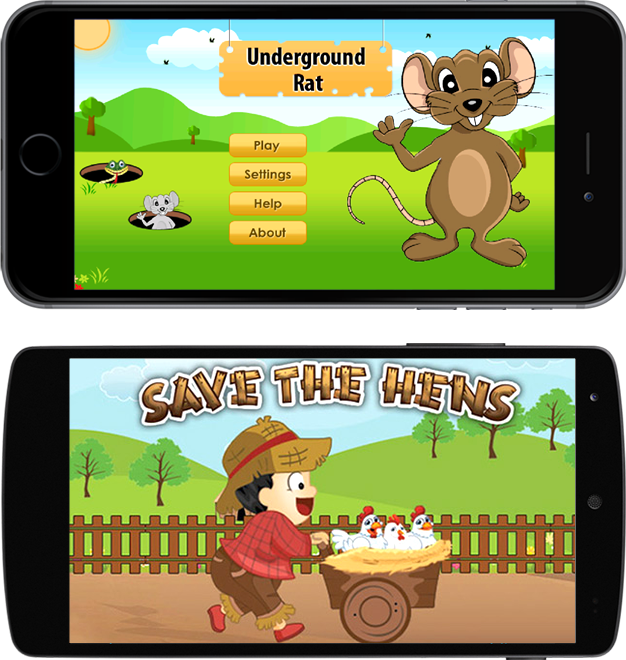 Currently we use Xcode, SpriteBuilder, Cocoa Touch, Cocos2d-x and other advanced tools to develop cutting-edge iOS and Android games for you. We follow an ultra-simple four-step process to start work on your game. You tell about the project. We discuss with you the details. We start working on your game. Despite being located in India, we offer 24x7 support to where you are. Some of our developers work in the U.S., Canada and Panama. Our executives are friendly and technically competent. Whenever you feel like discussing your game, you can call us, chat with us, email us or fax us. We will be prompt to reply. Discuss Your Project! It’s on Us! Discuss with us about your game project at no-cost.Email us at consultation@cogniter.com. We usually reply within 24 hours.